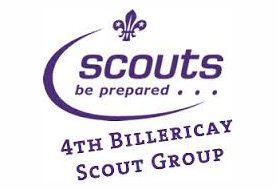 I was a sixer in the pack at the 4th Billericay 1962-1965 which used to meet in the Hall behind the Catholic Church and as I cub I remember going to Gilwell park for the day. I then joined the scouts in 1966-1967 and I remember Ray the ASM and a game Patrols which we used to regularly play at the beginning of the meeting. Two patrols played against one another in turn; there were six blocks of wood at each end of the hall behind a white line and the object was to run and remove all the blocks at your end of hall and put them behind the white line at the opponent’s end of the hall. Meanwhile the opposing patrol was doing exactly the same thing putting their blocks at your end of the hall. The game ended with a whistle blown by the umpire and the patrol that had cleared the blocks at their end declared the winner. My patrol Leader was David Purkiss but shamefully I cannot remember the patrol name. I remember three camps. Firstly a 1964/5 weekend Cub camp at Sudburys Farm, Tye Common Road where we dug pits for urinals, dirty rubbish and fire pits. I also remember going for a walk in the woods and being bitten by gnats, the campfire sing song followed by being told we were drinking Mock Turtle Soup (really spring vegetable) and a long walk to Church parade at Little Burstead Church and back again before being collected by dad to go home. The second Camp was a week-long scout camp at Down in Kent. My memories are travelling to camp in a pantechnicon lorry owned by Thermo Terme Ltd of Radford way and all those little foam balls of plastic. Cooking was over open fires I would get a wafflers badge if I waffled (waved my tin plate) the cooking fire long enough to keep it going. I remember that our white coloured ridge tent was not water proof and it leaked badly when it rained. Kit inspection which meant laying all you kit and clothes out on a ground sheet outside your tent for inspection. Going to the Providor building to try and buy sweets or crisps but always finding the the shop was shut. The older boys staking and tying down some unfortunate lad over the refuse pit. Making a stretcher or similar by lashing poles together. Going to Bromley by bus on the Thursday and riding in the lift at a department store just for the hell of it and buying a custard tart at Joe Lyons corner house. The Third camp was at Buckmorepark Chatham Kent and this time we went in a rickety old green coach. There was an indoor swimming pool, we went on a trip to the Naval Dockyard to see the submarines and played a wide game which consisted of trying to capture some “treasure” which was being escorted by another patrol and getting it to the finishing post. I also remember there being a night hike for the patrol leaders and seconds. Other memories include Bob-a-Job Week and 4th Billericay scouts taking part or helping in the Billericay Hospital Fetes. On one occasion I remember us having a genuine trek cart with a sign on top of it and pulling it all the way up the High Street from the junction of Western Road to Sun Corner. I also remember the scouts operating a ride at one of the fetes; it was a wooden railway track about 30ft long and 2ft high at its tallest end, it had a downward slope in the middle and wooden railway car for children to ride on. The children would get on the car at the highest point of the ride and with a push the car would set off with the scouts hauling on ropes to try and control the vehicle. At the end of the track the scouts would then pull the car back to its starting place. Quite often the car would run off the end of the track but I cannot remember any casualties. 4th Billericay’s other contribution to both the Hospital Fetes and the Carnival Fete was the hotdog and onions stall. Other activities I remember as cubs or scouts in 4th Billericay were a cub party at the Archer Hall where we all had hats decorated as chickens, hens and cockerels (weird), a District cub party at Billericay Secondary School in fancy dress as pirates where we learned the song The Quartermaster’s Store, but I am sure the words weren’t the approved correct ones. Lads I remember from those scouting days were Alan Burkett & Michael Gee.